Exposed concrete and strong geometric lines are key features of Brutalism, as seen here in the High Court of Australia. Brutalist architecture or Brutalism is an architectural style which emerged in the mid-20th century and peaked in popularity in the 1970s. It descended from the modernist architectural movement of the early 20th century. It is characterised by simple, block-like forms and raw concrete construction. From its beginnings in Europe, examples of Brutalist architecture can now be found around the world. The style has been most commonly used in the design of institutional buildings such as libraries, courts, public housing and city halls. Brutalism's stark, geometric designs contrast with the more ornate features of some 1930s and 1940s architecture. Brutalist designs have historically been polarising. Specific buildings, as well as the movement as a whole, have drawn a range of criticism and support from architects and the public. Many brutalist buildings have become architectural and cultural icons, with some obtaining listed status. Villa Göth (1949) in Kåbo, Uppsala, Sweden. "Brutalism" was used for the first time to describe this house. 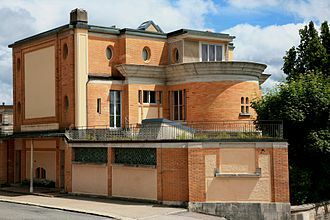 The term "Brutalism" was originally coined by the Swedish architect Hans Asplund to describe Villa Göth, a modern brick home in Uppsala, designed in 1949 by his contemporaries Bengt Edman and Lennart Holm. 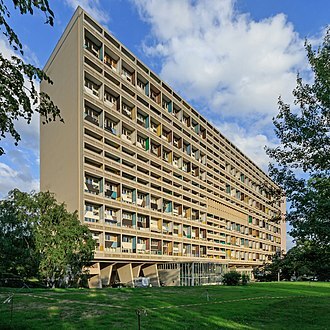 He originally used the Swedish term Nybrutalism (New Brutalism), which was picked up in the early 1950s by a group of visiting English architects, including Michael Ventris, and Alison and Peter Smithson. The Smithsons' Hunstanton School completed in 1954 in Norfolk, and the Sugden House completed in 1955 in Watford, represent ground zero for Brutalism in the United Kingdom. The term gained increasingly wider recognition when the British architectural historian Reyner Banham used it, to identify both an ethic and aesthetic style, in both his 1955 essay, The New Brutalism, and 1966 book, The New Brutalism: Ethic or Aesthetic?, to characterize a somewhat recently established cluster of architectural approaches, particularly in Europe. In the 1955 essay, Reyner Banham also associated the term New Brutalism with Art Brut and Le Corbusier's béton brut, meaning raw concrete in French, for the first time. 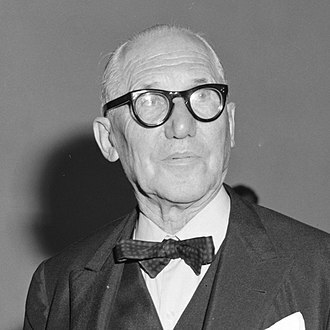 The best known proto-Brutalist architecture is the work of the Swiss architect Le Corbusier, in particular his 1952 Unité d'habitation in France, the 1953 Secretariat Building (Palace of Assembly) in Chandigarh, India and the 1955 church of Notre Dame du Haut in Ronchamp, France. Brutalism gained considerable momentum in the United Kingdom during the mid-twentieth century, as economically depressed (and World War II-ravaged) communities sought inexpensive construction and design methods for low-cost housing, shopping centres, and government buildings. Brutalism began to be favoured by governmental and institutional clients, with numerous examples in English-speaking countries (the United Kingdom, the United States, Canada, Australia), Western Europe (France, Germany, Italy), the Soviet Union, the Eastern Bloc (Slovakia, Bulgaria), and places as disparate as Japan, India, Brazil, the Philippines, and Israel. 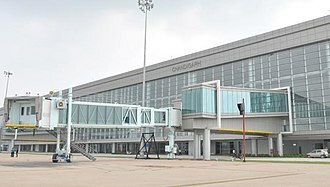 Examples are typically massive in character (even when not large), fortress-like, with a predominance of exposed concrete construction, or, in the case of the "brick Brutalists", they ruggedly combine detailed brickwork and concrete. There is often an emphasis on graphically expressing in the external elevations and in the whole-site architectural plan the main functions and people-flows of the buildings. 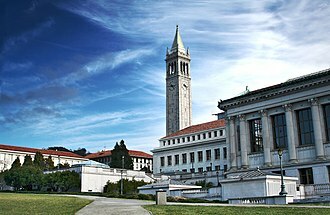 Brutalism became popular for educational buildings (especially university buildings), but was relatively rare for corporate projects, which largely preferred International Style. Brutalism became favoured for many government projects, rectangle tower blocks (high-rise housing), and shopping centres. Combined with the socially progressive intentions behind Brutalist streets in the sky housing such as the Smithsons' Robin Hood Gardens, completed in 1972, Brutalism was promoted as a positive option for forward-moving, modern urban housing. Trellick Tower, London, 1966–1972, designed by Ernő Goldfinger, is a Grade II* listed building. Boston City Hall is a controversial and prominent example of the Brutalist architectural style. It was designed by Kallmann McKinnell & Knowles (architects) with Campbell, Aldrich & Nulty (architects) and Lemessurier Associates (engineers). Another common theme in Brutalist designs is the exposure of the building's functions—ranging from their structure and services to their human use—in the exterior of the building. In the Boston City Hall, designed in 1962, the strikingly different and projected portions of the building indicate the special nature of the rooms behind those walls, such as the mayor's office or the city council chambers. From another perspective, the design of the Hunstanton School included placing the facility's water tank, normally a hidden service feature, in a prominent, visible tower. Brutalism as an architectural philosophy was often also associated with a socialist utopian ideology, which tended to be supported by its designers, especially Alison and Peter Smithson, near the height of the style. This style had a strong position in the architecture of European communist countries from the mid-1960s to the late 1980s (Bulgaria, Czechoslovakia, East Germany, USSR, Yugoslavia). In Czechoslovakia Brutalism was presented as an attempt to create a "national" but also "modern socialist" architectural style. Habitat 67 in Montreal, Quebec, Canada, is a Brutalist building. In Australia, examples of the Brutalist style are Robin Gibson's Queensland Art Gallery, Ken Woolley's Fisher Library at the University of Sydney (his State Office Block is another), the High Court of Australia by Colin Madigan in Canberra, and WTC Wharf (World Trade Centre in Melbourne). John Andrews's government and institutional structures in Australia also exhibit the style. Canada possesses numerous examples of Brutalist architecture. In the years leading to the 100th anniversary of the Confederation in 1967, the Federal Government financed the construction of many of public buildings. Major Brutalist examples, not all built as part of the Canadian Centennial, include the Grand Théâtre de Québec, the Édifice Marie-Guyart (formerly Complex-G), Hôtel Le Concorde, and much of the Laval University campus in Quebec City; Habitat 67, Place Bonaventure, the Maison de Radio-Canada, and several metro stations on the Montreal Metro's Green Line; the Confederation Centre of the Arts in Charlottetown; the National Arts Center in Ottawa; the Hotel Dieu Hospital in Kingston; Robarts Library, Rochdale College in Toronto; the church of the Westminster Abbey in British Columbia. In the United Kingdom, architects associated with the Brutalist style include Ernő Goldfinger, wife-and-husband pairing Alison and Peter Smithson, some of the work of Sir Basil Spence, the London County Council/Greater London Council Architects Department, Owen Luder, John Bancroft, and, arguably perhaps, Sir Denys Lasdun, Sir Leslie Martin, Sir James Stirling and James Gowan with their early works. Some well-known examples of Brutalist-influenced architecture in the British capital include the Barbican Centre (Chamberlin, Powell and Bon) and the National Theatre (Denys Lasdun). In the United States Paul Rudolph and Ralph Rapson were both noted Brutalists. Evans Woollen III, a pacesetter among architects in the Midwest, is credited for introducing the Brutalist and Modernist architecture styles to Indianapolis, Indiana. Walter Netsch is known for his Brutalist academic buildings. 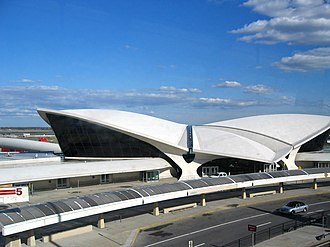 Marcel Breuer was known for his "soft" approach to the style, often using curves rather than corners. Buffalo City Court Building, built 1971–1974 by Pfohl, Roberts, and Biggie, is a classic example of Brutalism's imposing aesthetic. Western City Gate, Belgrade, Serbia. In Argentina Clorindo Testa created the Bank of London and South America headquarters, one of the best examples of the 1950s. The Istituto Marchiondi Spagliardi in Baggio, Milan, by Vittoriano Viganò (1957). Photo by Paolo Monti. In Italy, Vittoriano Viganò designed the Istituto Marchiondi in Milan in 1957, and the BBPR studio built the Torre Velasca in 1958. More recent Modernists such as I. M. Pei, Gottfried Böhm and Tadao Ando also have designed notable Brutalist works. In Trieste, the main building of the Galileo Galilei high school (1969–71), as well as the residential housing complex known as "il Quadrilatero" (1969–82), in the district of Rozzol Melara are iconic representations of the brutalist style. Other examples include the Enrico Nordio art institute and the Temple of Monte Grisa. In Brazil, the style is associated with the Paulista School and is evident in the works of Pritzker Architecture Prize-winning architect Paulo Mendes da Rocha (2006). In the Philippines, Leandro Locsin designed massive Brutalist structures, including the Tanghalang Pambansa and the Philippine International Convention Center. In New Zealand, Sir Miles Warren and his practice Warren & Mahoney led the development of the so-called "Christchurch School" of architecture, which fused Brutalist architectural style with Scandinavian and Japanese values of straightforwardness. Warren's style has influenced New Zealand's public architecture. Architects whose work reflects certain aspects of the Brutalist style include Louis Kahn. Architectural historian William Jordy says that although Kahn was "[o]pposed to what he regarded as the muscular posturing of most Brutalism", some of his work "was surely informed by some of the same ideas that came to momentary focus in the Brutalist position." In the late 1950s and early 1960s, many North American university campuses constructed buildings in the style due to the associated low cost and ease of quick construction, beginning with Paul Rudolph's 1958 Yale Art and Architecture Building and the 1965 Art Museum at Colgate. Rudolph's design for the University of Massachusetts Dartmouth is an example of an entire campus designed from scratch in the Brutalist style. Walter Netsch designed the entire University of Illinois-Chicago Circle Campus (now the East Campus of the University of Illinois at Chicago) under a single, unified Brutalist design. John M. Johansen's and Evans Woollen III's Brutalist-style Clowes Memorial Hall, a performing arts facility that opened in 1963 and on the campus of Butler University in Indianapolis, was praised for its bold and dramatic design. In 1964, Brigham Young University inaugurated the Franklin S. Harris Fine Arts Center, which features a largely Brutalist style of architecture.The University of Chicago's Joseph Regenstein Library, one of the largest libraries in the world, is designed in the Brutalist style. The Northwestern University Library is also designed in a brutalist style and very good example of this architecture. The University of Minnesota's West Bank campus features several Brutalist buildings, including Ralph Rapson's performing arts venue, Rarig Center, one of Rapson's most important works and the best example of Brutalism in the Twin Cities. The University of Louisville Belknap Campus has several Brutalist buildings, including the Bingham Humanities Building and the Interfaith Center. The Andrews Building at the University of Toronto Scarborough was built in a Brutalist architectural style and completed in 1964. In 1965, Desert Modern architect E. Stewart Williams was commissioned to design a new campus for the San Bernardino Community College District. Construction of Crafton Hills College began a year later and the last building which was part of his original campus plan which was actually constructed was completed in 1976. Williams's Brutalist design contrasts with the steep terrain and was chosen in part because it provided a fire break from the surrounding environment. The Iowa State Center at Iowa State University as it was originally constructed consisted of five buildings in the brutalist style, including a theater, auditorium, coliseum, stadium, and events center, as well as connecting elevated promenades. At the same period in the U.K. similar expansion of tertiary education led to the construction of many Brutalist university buildings, notable examples being the Boyd Orr Building at the University of Glasgow, the University of Essex, and Denys Lasdun's halls of residence at the University of East Anglia. Tesco Shopping Centre (1962) in Košice, Slovakia, is one of the first and strongly criticised Brutalist buildings in the former Czechoslovakia. It was previously known as Obchodný dom Prior. 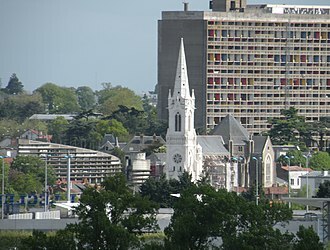 Brutalism has some severe critics, including Charles, Prince of Wales, whose speeches and writings on architecture have excoriated Brutalism, calling many of the structures "piles of concrete". "You have to give this much to the Luftwaffe", said Prince Charles at the Corporation of London Planning and Communication Committee's annual dinner in December 1987, "When it knocked down our buildings, it didn't replace them with anything more offensive than rubble." Defenders of the style argue that the criticism comes not only from the designs of the buildings, but also from the fact that concrete façades do not age well in damp, cloudy maritime climates such as those of northwestern Europe and New England. In these climates, the concrete becomes streaked with water stains and sometimes with moss and lichens, and rust stains from the steel reinforcing bars. Park Hill in 2013, after substantial refurbishment. 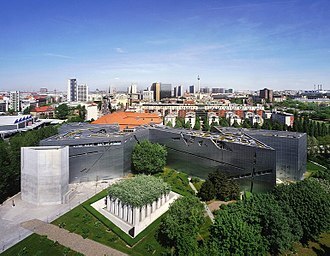 Critics of the style find it unappealing due to its "cold" appearance, projecting an atmosphere of totalitarianism, as well as the association of the buildings with urban decay due to materials weathering poorly in certain climates and the surfaces being prone to vandalism by graffiti. Despite this, the style is appreciated by others, and preservation efforts are taking place in the United Kingdom. 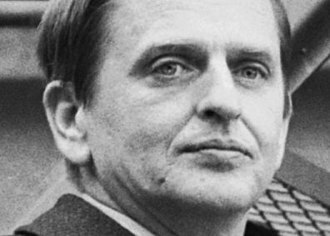 Anthony Daniels, a British author, physician, and political commentator, has written for City Journal that Brutalist structures represent an artefact of European philosophical totalitarianism, a "spiritual, intellectual, and moral deformity." He called the buildings "cold-hearted", "inhuman", "hideous", and "monstrous". He stated that the reinforced concrete "does not age gracefully but instead crumbles, stains, and decays", which makes alternative building styles superior. After two unsuccessful proposals to demolish Preston bus station (Lancashire, UK), it gained Grade II listed building status in September 2013. Although the Brutalist movement was largely dead by the mid-1980s, having largely given way to Structural Expressionism and Deconstructivism, it has experienced a resurgence of interest since 2015 with the publication of a variety of guides and books, including the Brutalist London Map (2015), This Brutal World (2016), SOS Brutalism: A Global Survey (2017) as well as the lavish Atlas of Brutalist Architecture (Phaidon, 2018). Many of the defining aspects of the style have been softened in newer buildings, with concrete façades often being sandblasted to create a stone-like surface, covered in stucco, or composed of patterned, pre-cast elements. These elements are also found in renovations of older Brutalist buildings, such as the redevelopment of Sheffield's Park Hill. Cladding of the exterior may be undertaken in part to improve the neighbours' view, and cladding itself may bring fire risks; this is widely seen to be one of the causes of the June 2017 Grenfell Tower fire. 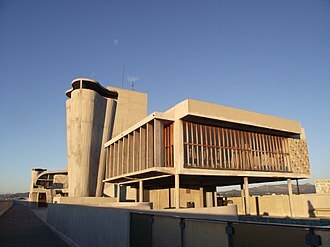 Several Brutalist buildings have been granted listed status as historic and others, such as the Pirelli Building in New Haven's Long Wharf, and Gillespie, Kidd & Coia's St. Peter's Seminary, named by Prospect magazine's survey of architects as Scotland's greatest post-war building, have been the subject of conservation campaigns. The Twentieth Century Society has unsuccessfully campaigned against the demolition of British buildings such as the Tricorn Centre and Trinity Square multi-storey car park, but successfully in the case of Preston bus station garage, London's Hayward Gallery and others. Notable buildings that have been razed include the Smithson's Robin Hood Gardens (2017) in East London, John Madin's Birmingham Central Library (2016), Marcel Breuer's American Press Institute Building in Reston, Virginia, and Araldo Cossutta's Third Church of Christ, Scientist in Washington, D.C. (2014). Notable buildings which are threatened include the Sirius building in Sydney, Welbeck Street Car Park in London, and Atlanta Central Library in Georgia, USA. ^ Đorđe, Alfirević & Simonović Alfirević, Sanja: Brutalism in Serbian Architecture: Style or Necessity? Facta Universitatis: Architecture and Civil Engineering (Niš), Vol. 15, No. 3 (2017), pp. 317–331. ^ a b c d Meades, Jonathan (2014-02-13). "The incredible hulks: Jonathan Meades' A-Z of brutalism". the Guardian. Retrieved 2018-10-10. ^ a b Golan 2003, p.3. ^ Review, Architectural (2014-05-15). "The New Brutalism". On Architecture. Retrieved 2018-10-10. ^ McClelland, Michael, and Graeme Stewart, "Concrete Toronto: A Guide to Concrete Architecture from the Fifties to the Seventies," Coach House Books, 2007, p. 12. ^ a b British Brutalism. World Monument Fund. ^ Kulić, Vladimir; Mrduljaš, Maroje; Thaler, Wolfgang (2012). Modernism In-Between: The Mediatory Architectures of Socialist Yugoslavia. Berlin: Jovis. ISBN 978-3-86859-147-7. ^ Paiement, Genevieve: Habitat 67, Montreal's 'failed dream' – a history of cities in 50 buildings, day 35. The Guardian, 13 May 2015. Retrieved 3 June 2017. ^ Farrelly, Elizabeth (9 October 2010). "Watch this space – Brutalism meets beauty in the National Gallery's new wing". The Sydney Morning Herald"Spectrum" section. pp. 16–17. ^ "Architects: Brutalism". Circa Design. ^ Trounstine, Philip J. (May 9, 1976). "Evans Woollen". [Indianapolis] Star Magazine. Indianapolis, Indiana: 18. See also: "Prominent local architect Woollen Dies at 88". Indianapolis Business Journal. Indianapolis. May 19, 2016. Retrieved 18 December 2017. ^ a b Vittoriano Viganò. A come Asimmetria. Gangemi Editore spa. 2011. p. 124. ISBN 978-88-492-6584-2. ^ "Centar za stanovanje – Center for Housing". stanovanje.yolasite.com. Retrieved 14 July 2017. ^ Jordy, William (1972). The Impact of European Modernism in the Mid-twentieth Century. American Buildings and Their Architects. 5. New York, Oxford: Oxford University Press. p. 363. ISBN 0-19-504219-0. ^ Megan Fernandez (June 2010). "The Pillar: Evans Woollen". Indianapolis Monthly. Indianapolis, Indiana: 68. Retrieved December 18, 2017. See also: Philip J. Trounstine (May 9, 1976). "Evans Woollen: Struggles of a 'Good Architect'". [Indianapolis] Star Magazine. Indianapolis, Indiana: 23. ^ Millett, Larry (2007). AIA Guide to the Twin Cities. Saint Paul, Minnesota: Minnesota Historical Society. p. 148. ^ Kopelk, William (2005). E. Stewart Williams: A Tribute to His Work and Life. Palm Springs, CA: Palm Springs Preservation Foundation. ^ Marina Warner. "Diary: Why I Quit". London Review of Books. ^ Glancey, Jonathan (17 May 2004). "Life after carbuncles". The Guardian. London. Retrieved 2010-04-27. ^ "CIP 25 - Corrosion of Steel in Concrete" (PDF). nrmca. National Ready Mixed Concrete Association. Retrieved 7 May 2017. ^ Winston, Anna: Five architectural treasures we must save from the UK’s heritage war. The Guardian, 18 June 2015. ^ Theodore Dalrymple (Autumn 2009). 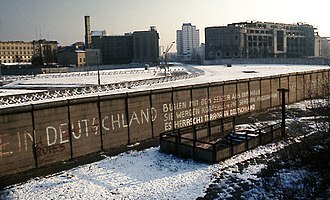 "The Architect as Totalitarian". City Journal. Retrieved 4 January 2010. ^ Griffin, Andrew (14 June 2017). "Grenfell Tower cladding that may have led to fire was chosen to improve appearance of Kensington block of flats". The Independent. Retrieved 20 June 2017. Highmore, Ben (2017). The Art of Brutalism: Rescuing Hope from Catastrophe in 1950s Britain. New Haven: Yale University Press. ISBN 978-0-300-22274-6. Kapur, Akash (October 18, 2018). "Can Poland's Faded Brutalist Architecture Be Redeemed?". The New York Times. ISSN 0362-4331. 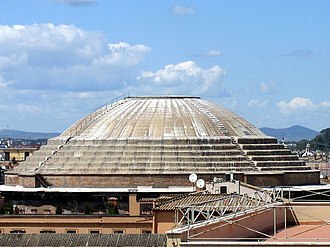 Wikimedia Commons has media related to Brutalist architecture. The chapel is a working religious building and is under the guardianship of the private foundation Association de l’Oeuvre de Notre-Dame du Haut. It attracts 80,000 visitors each year, Notre Dame du Haut is commonly thought of as a more extreme design of Le Corbusier’s late style. Commissioned by the Association de lOeuvre Notre Dame du Haut, the chapel is a design with two entrances, a main altar, and three chapels beneath towers. Although the building is small, it is powerful and complex, the chapel is the latest of chapels at the site. The previous chapel was destroyed there during World War II. The previous building was a 4th-century Christian chapel, at the time the new building was being constructed, Corbusier was not exactly interested in “Machine Age” architecture but he felt his style was more primitive and sculptural. Also, he realized when he visited the site that he could not use mechanized means of construction, on January 17,2014, Notre Dame du Haut became the target of a break-in. A concrete collection box was thrown outside, and one of the windows, designed by Le Corbusier. The site is high on a hill near Belfort in eastern France, there had been a pilgrimage chapel on the site dedicated to the Virgin Mary, but it was destroyed during the Second World War. 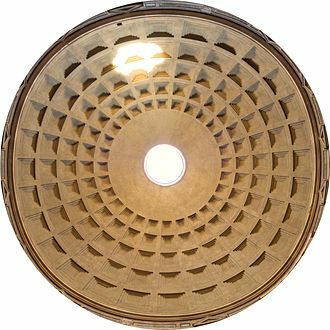 After the war, it was decided to rebuild on the same site, the Chapelle Notre-Dame-du-Haut, a shrine for the Roman Catholic Church at Ronchamp, France was built for a reformist Church looking to continue its relevance. Warning against decadence, reformers within the Church at the time looked to renew its spirit by embracing modern art, father Marie-Alain Couturier, who would sponsor Le Corbusier for the La Tourette commission, steered the unorthodox project to completion in 1954. The chapel at Ronchamp is singular in Corbusiers oeuvre, in that it departs from his principles of standardisation, Le Corbusier sensed a sacred relationship of the hill with its surroundings – the Jura mountains in the distance and the hill itself, dominating the landscape. Ronchamp is a commune in the Haute-Saône department in the region of Bourgogne-Franche-Comté in eastern France. It is located between the Vosges and the Jura mountains, mining began in Ronchamp in the mid-18th century and had developed into a full industry by the late 19th century, employing 1500 people. 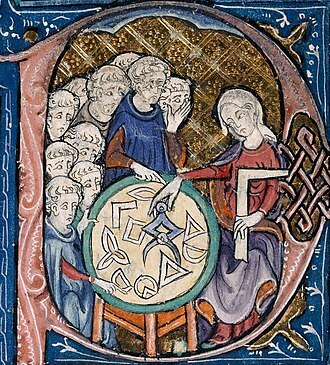 The museum looks back at the work, the techniques and tools they used. A collection of miners lamps is on display, the chapel of Notre Dame du Haut, designed by Le Corbusier, is located in Ronchamp. 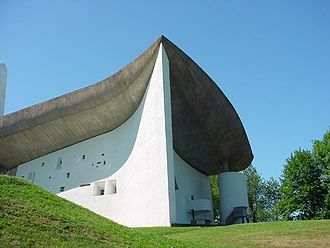 The Chapelle Notre-Dame-du-Haut, a shrine for the Catholic Church at Ronchamp was built for a reformist Church looking to continue its relevancy, warning against decadence, reformers within the Church looked to renew its spirit by embracing modern art and architecture as representative concepts. Father Couturier, who would sponsor Le Corbusier for the La Tourette commission and this work, like several others in Le Corbusier’s late oeuvre, departs from his principles of standardization and the machine aesthetic outlined in Vers une architecture. Boston City Hall is the seat of city government of Boston, Massachusetts. It includes the offices of the mayor of Boston and the Boston City Council, the current hall was built in 1968 and is a controversial and prominent example of the brutalist architectural style. It was designed by Kallmann McKinnell & Knowles with Campbell, Aldrich & Nulty, together with the surrounding plaza, City Hall is part of the Government Center complex, a major urban redesign effort in the 1960s. 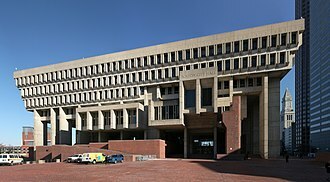 Most modern opinions of the building are negative, often calling it one of the worlds ugliest buildings, Boston City Hall was designed by Gerhard Kallmann, a Columbia University professor, and Michael McKinnell, a Columbia graduate student, who won an international, two-stage competition in 1962. Many of the elements in the design have seen as abstractions of classical design elements, such as the coffers. The designers designed City Hall as divided into three sections, aesthetically and by use. 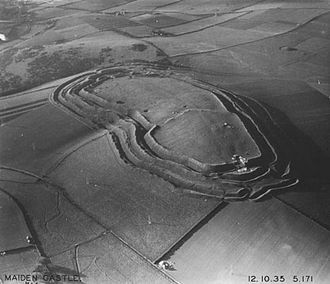 The lowest portion of the building, the base, which is partially built into a hillside. The brick largely transfers over to the exterior of this section, the intermediate portion of City Hall houses the public officials, the Mayor, the City Council members, and the Council Chamber. The effect is of a city of concrete-sheltered structures cantilevered above the plaza. The cantilevers are supported by columns, spaced alternately at 14-foot-4-inch and 28-foot-8-inch. The upper stories contain the office space, used by civil servants not visited frequently by the public, such as the administrative. This bureaucratic nature is reflected in the window patterns, separated by pre-cast concrete fins. The top of the base was designed as an elevated courtyard melding the fourth floor of the city hall with the plaza. Because of security concerns, city officials in recent years blocked access to the courtyard and to the stairways to Congress Street. The courtyard is occasionally opened up for events, after 9/11 security was further increased. City Halls north entrance facing the plaza was barricaded with jersey barriers, all visitors entering the front and back entrances must pass through metal detectors. Constructivist architecture was a form of modern architecture that flourished in the Soviet Union in the 1920s and early 1930s. It combined advanced technology and engineering with an avowedly Communist social purpose, although it was divided into several competing factions, the movement produced many pioneering projects and finished buildings, before falling out of favour around 1932. It has left marked effects on developments in architecture, Constructivist architecture emerged from the wider constructivist art movement, which grew out of Russian Futurism. Constructivist art had attempted to apply a three-dimensional cubist vision to wholly abstract non-objective constructions with a kinetic element, after the Russian Revolution of 1917 it turned its attentions to the new social demands and industrial tasks required of the new regime. 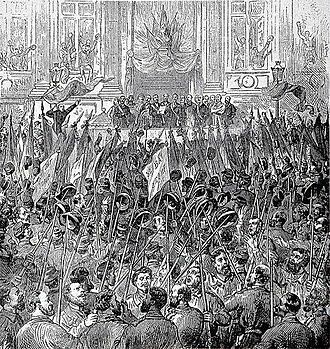 A split occurred in 1922 when Pevsner and Gabo emigrated, the movement developed along socially utilitarian lines. The productivist majority gained the support of the Proletkult and the magazine LEF, though it remained unbuilt, the materials—glass and steel—and its futuristic ethos and political slant set the tone for the projects of the 1920s. Another famous early Constructivist project was the Lenin Tribune by El Lissitzky, immediately after the Russian Civil War, the USSR was too impoverished to commission any major new building projects. Nonetheless, the Soviet avant-garde school Vkhutemas started an architectural wing in 1921, which was led by the architect Nikolai Ladovsky, the teaching methods were both functional and fantastic, reflecting an interest in gestalt psychology, leading to daring experiments with form such as Simbirchevs glass-clad suspended restaurant. 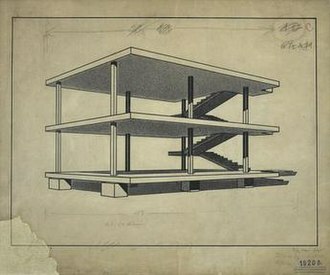 Among the architects affiliated to the ASNOVA were El Lissitzky, Konstantin Melnikov, Vladimir Krinsky, projects from 1923 to 1935 like Lissitzky and Mart Stam’s Wolkenbügel horizontal skyscrapers and Konstantin Melnikov’s temporary pavilions showed the originality and ambition of this new group. Melnikov would design the Soviet Pavilion at the Paris Exposition of Decorative Arts of 1925, modern offices for the mass press were popular, such as the Izvestia headquarters. In 1925 the OSA Group, ties to Vkhutemas, was founded by Alexander Vesnin. 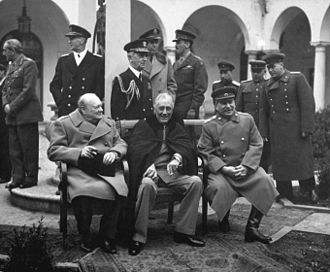 This group had much in common with Weimar Germanys Functionalism, such as the projects of Ernst May. Housing, especially collective housing in specially designed dom kommuny to replace the collectivised 19th century housing that was the norm, was the priority of this group. The term social condenser was coined to describe their aims, which followed from the ideas of V. I, collective housing projects that were built included Ivan Nikolaevs Communal House of the Textile Institute, and Ginzburgs Moscow Gosstrakh flats and, most famously, his Narkomfin Building. Flats were built in a Constructivist idiom in Kharkiv and Leningrad, ginzburg designed a government building in Alma-Ata, while the Vesnin brothers designed a School of Film Actors in Moscow. OSA published a magazine, SA or Contemporary Architecture from 1926 to 1930, the leading rationalist Ladovsky designed his own, rather different kind of mass housing, completing a Moscow apartment block in 1929. Buildings of the Abbot Academy nowadays. Urban planning designs settlements, from the smallest towns to the largest cities. All apartments in Trellick Tower have a balcony and large windows to let in as much sunlight as possible.